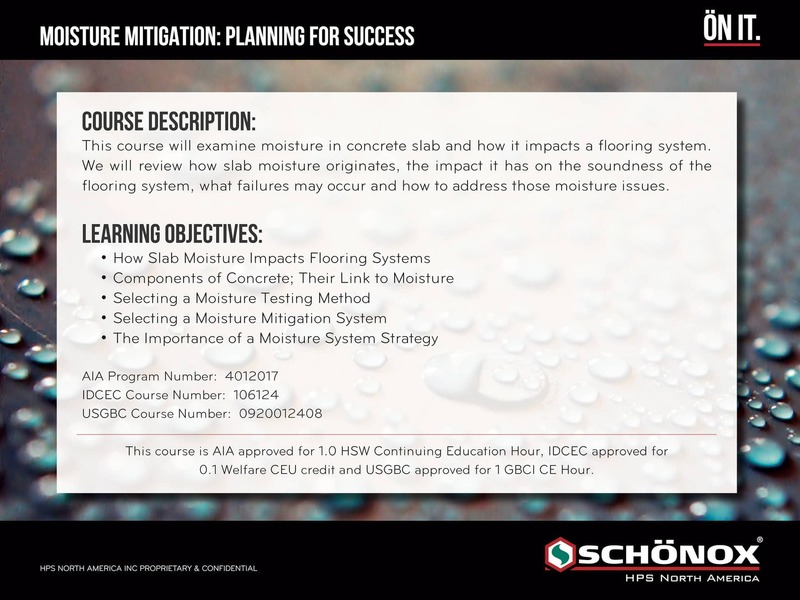 HPS Schönox offers continuing education to professionals. We believe continuing education is the cornerstone to understanding new technology and techniques to better help with your next project. 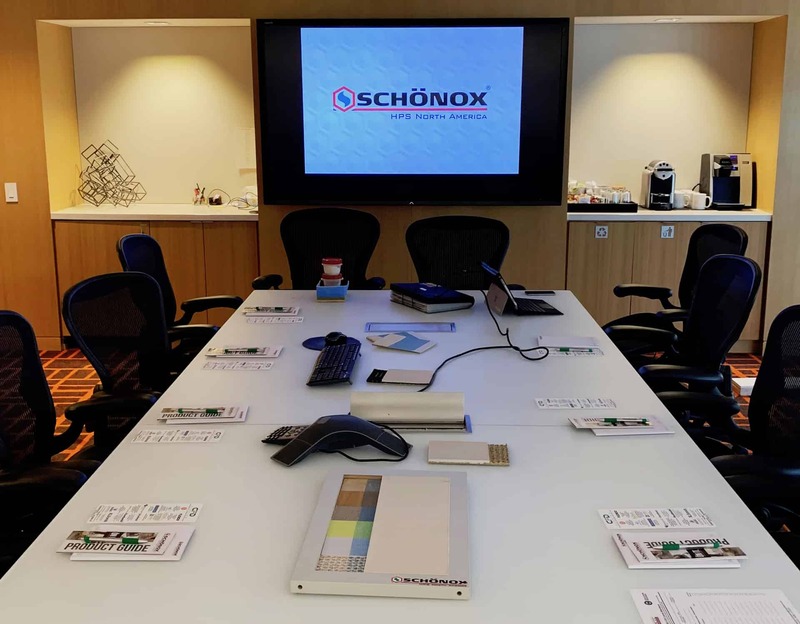 HPS Schönox is a registered provider with the continuing education system of AIA, GBCI, and IDCEC. 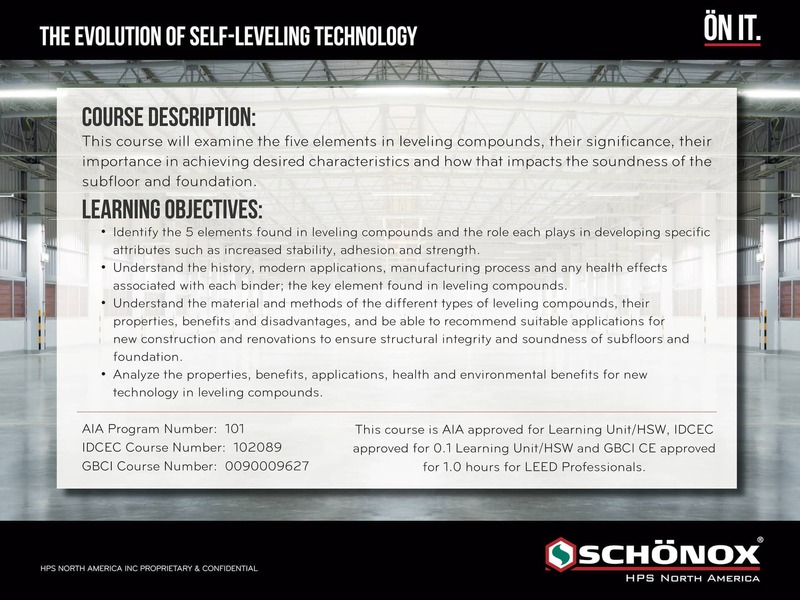 Both of our programs, The Evolution of Self Leveling Compounds and Moisture Mitigation: Planning for Success meets the criteria of Health, Safety & Welfare (HSW) with the AIA and qualifies for 1-LU (learning unit). These also meets the standards for GBCI and qualifies for 1.0 GBCI CE Hours for LEED Professionals. In addition it also qualifies for 0.1 LU with the IDCEC. To help satisfy your minimum learning units per year, complete the short form to schedule a presentation.